We treat people not bodies. Dry Needling, trigger point acupuncture, traditional Chinese Acupuncture, Herbs, Electro Acupuncture and more. Each diagnosis and treatment is personalized to your problem history. Our approach is very hands on, we touch around your pain are (or sometimes a bit away from it) to find the offending tightness. Then we treat your problem. Does your pain have you desperate? Are you experiencing pain that western medicine has not been able to help? Do you prefer to solve pain problems without Drugs ? Are you looking for a way to avoid surgery? 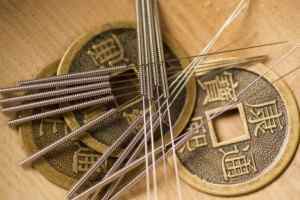 Acupuncture is a great alternative for the above problems. Maybe you had an accident years ago and the pain has returned, maybe you had surgery and the pain is not clearing. Perhaps you have a muscular-related condition that is hindering your activities? Has chemotherapy left you with numbness? Are you working on conception? Do you have a pain that is always with you? Besides traditional acupuncture treatments, we focus on three areas: relieving pain, sports injuries, and improving fertility. We specialize in Trigger Point Acupuncture also known as dry needling. 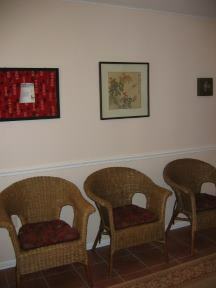 The moment you enter our calm, quiet and soothing center, you will sense that we care about you and your well-being. Our offices are not a cold clinic with stainless steel tables (or curtains), but instead our treatment rooms are warm and decorated to create an environment of comfort, safety and care. You can sense our partnership with you from your first consultation. We cover your health background extensively. Many people comment that nobody has ever dug so deeply into their health history. After your first treatment, we review your treatment records before every additional treatment to make sure we are aggressively working on your specific complaints and that your customized treatment is being perfectly executed. We will not keep you coming back when you seem to no longer be benefiting from the treatment and are happy to provide ideas and referrals to help you find the relief you seek. 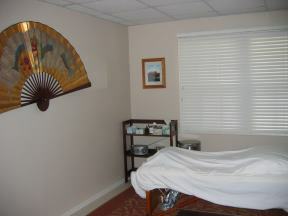 Rhonda Hogan brings a western perspective to her acupuncture practice. She understands that much of the traditional description was developed at a time of lesser scientific knowledge. A properly functioning muscular system and how acupuncture can keep the musculature in tune is the core of her practice. . She holds a Masters of Science in Acupuncture from the Tri-state College of Acupuncture in NYC. She also holds a Bachelors of Arts in Biology with a Psychology minor from Lehigh University. She has over 19 years of continuous experience and began practicing in 1999. 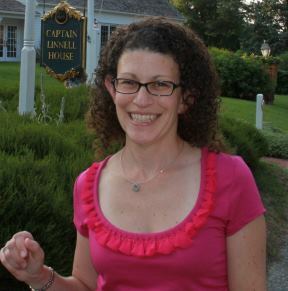 She owns Absolute Qi Acupuncture and Wellness center in Somerset NJ. Chinese New Year 2018 New Patient Special!